Owners of Bitcoin have endured a wild ride in recent years. While the coin could fetch $900 when 2017 began, one year later its value briefly moved above $20,000. At present, one Bitcoin exchanges for roughly $5,000. The coin’s substantial volatility ably explains why, at least for now, it’s not seen as a worthy substitute for the dollar. It more realistically exhibits the floating dollar’s worst qualities, many times over. Indeed, imagine entering into a transaction in which payment would be made in the cryptocurrency. I’ll pay you 10 Bitcoin to remodel my kitchen. Ok, but which Bitcoin? The 2017 version, or the much more valuable coin of 2018? How about I pay you 10 Bitcoin now, and 10 in April of 2020 to add on a room to my house? Assuming continued volatility, someone’s going to be very unhappy next April. So while Bitcoin fails in the present as a dollar replacement, its volatility instructs. Who among us would comfortably enter into a transaction in which the medium of exchange facilitating the transaction is bouncing around in the most erratic of ways? The question is rhetorical. It’s a reminder that when we transact, we’re ultimately exchanging products for products; money merely an agreement about value among producers that enhances the quality of the exchange. If the monetary unit is stable, buyer and seller have the highest odds of attaining equal value in return for what they bring to market. The problem is that since the early 1970s, money has floated without definition. While a dollar was exchangeable for 1/35th of an ounce of gold in August of 1971, it now buys roughly 1/1300th of an ounce. A dollar that used to purchase almost ½ of a barrel of oil now purchases 1/60th. Readers get the picture. Since the early ‘70s the dollar has exhibited volatile qualities that bring to mind Bitcoin in modern times. 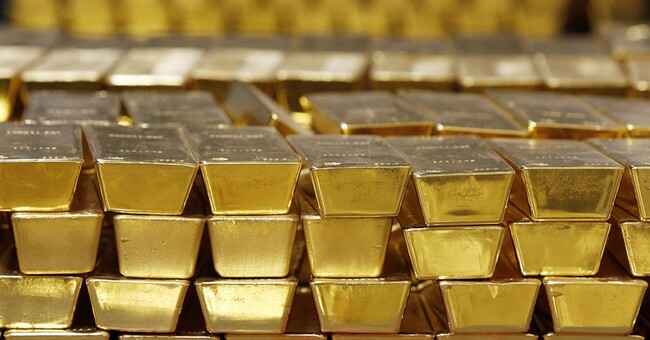 Gold proponents merely want to revive money’s historical purpose as a stable measure of value. For the same reason that no sane person would comfortably enter into a deal measured in Bitcoin, money of the dollar, euro, yen and pound variety similarly has demerits rooted in volatility. Re-linking currencies to gold would imbue them with the stability that would render them most useful as money. Yet critics abound. Largely due to President Trump’s expressed plan to nominate gold supporters Herman Cain and Stephen Moore to the Federal Reserve’s Board of Governors, critics of money defined in terms of gold have sharpened their knives. Notable here is that the criticism has come from both sides. Funny about the critics of gold is that they’re revealing their own misunderstandings in reacting so negatively, and their confusion extends well beyond an inability for them to comprehend money’s purpose. Seemingly lost on those who view the gold standard as the low-rent equivalent of a diner using the outside eating utensils to cut the entrée’s meat is that the Fed doesn’t oversee the dollar’s exchange rate as is. And it never has. That Fed officials rarely discuss the dollar’s exchange rate is seemingly lost on the naïve minds who fear Cain and Moore will – gasp – relink the dollar to gold. Sorry, but the dollar’s exchange rate has at least in the last 100 years been a Treasury/presidential function, and assuming anyone cares about the Constitution anymore, it began (Congress “coins money, regulates the value thereof") as a prerogative of Congress. Pethoukoukis, Rampell and the economists they aim to please have their history wrong in addition to not understanding money. After that, not asked enough of gold-standard critics is what exactly has them so hysterical. If it’s about gold somehow limiting the supply of dollars, there’s no empirical evidence supporting what is an unserious claim. Figure that the supply of dollars (soure: Nathan Lewis, who will forget more about money in the time it takes to read this than Pethokoukis and Rampell will ever know) soared 163 times from 1785 to 1900 despite the greenback’s gold definition. The supply of dollars is production determined. Where there’s production there will always be copious "money" to facilitate exchange of same. Where there’s very little, there will be very little money. It’s not by coincidence that dollars are plentiful in Manhattan, but relatively scarce in the Bronx. Money supply doesn’t instigate as the monetary fabulists would have us believe, rather it’s an effect of production. As for the operation of a gold standard system, lost on the myriad critics is that it wouldn’t even require any gold. Instead, what would be required is a commitment by Treasury to maintaining the dollar’s value in terms of a commodity least vulnerable to outside influences that result in volatility. All of which raises a basic question: what are the critics so worked up about? Few could say with a straight face that Bitcoin would serve as an effective facilitator of transactions, and neither would gold-standard supporters. Proponents of a gold-defined dollar are merely saying that the dollar would be much more useful as a facilitator of trade and investment if its value were stable throughout time. What about the workers who earn dollars? Seemingly no reasonable economist or pundit would say they’ve benefited from the dollar’s wild ride. Better yet, no economist has ever offered up a reasonable argument in favor of devaluation of the very dollars workers earn. Investors? Their commitments of capital amount to explicit purchases of dollar returns and dollar income streams in the future. Without investment, there are no companies and jobs. A stable dollar would quite logically remove a great deal of uncertainty from the investment that powers all economic activity. Stated simply, gold-standard proponents seek a dollar that is widely trusted as a constant measure of value. Nothing more. Nothing less. Unknown is why a desire to revive money with stability top of mind has so many so up in arms. They won't admit it, but their protest is a rather unwitting admission that they don't have a clue about the subject they naively presume to discuss. Your move, gold critics. If stable money is problematic, please explain what money is. Better yet, please explain why money that has erratic, Bitcoin qualities is superior to money that is more of a constant measure of value. And please end the pretense about the Fed putting us back on the gold standard. You’re revealing how little you know when you make such a silly argument.